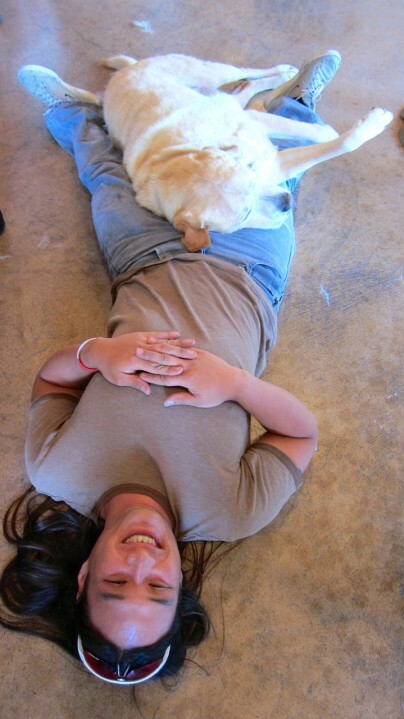 What’s the best way to cure a hangover? 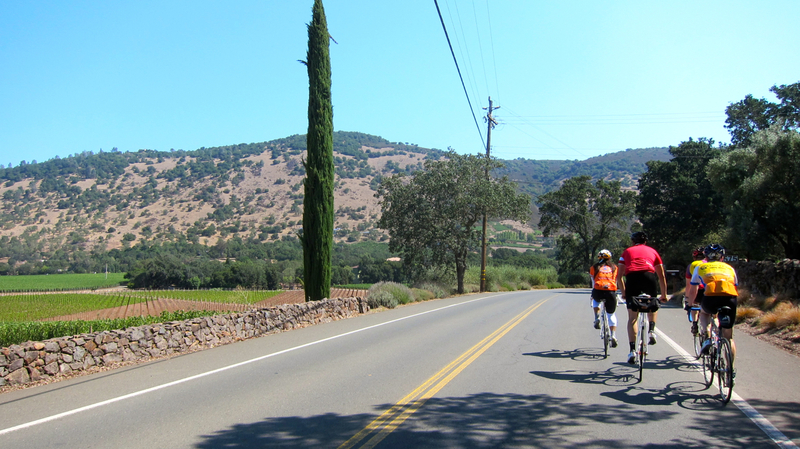 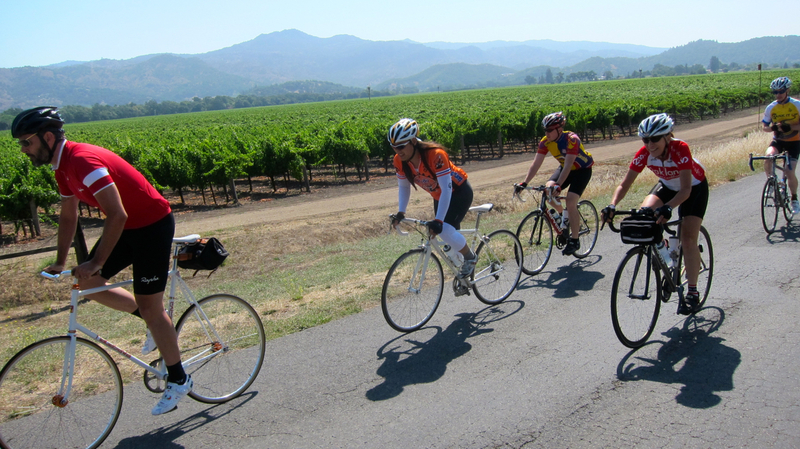 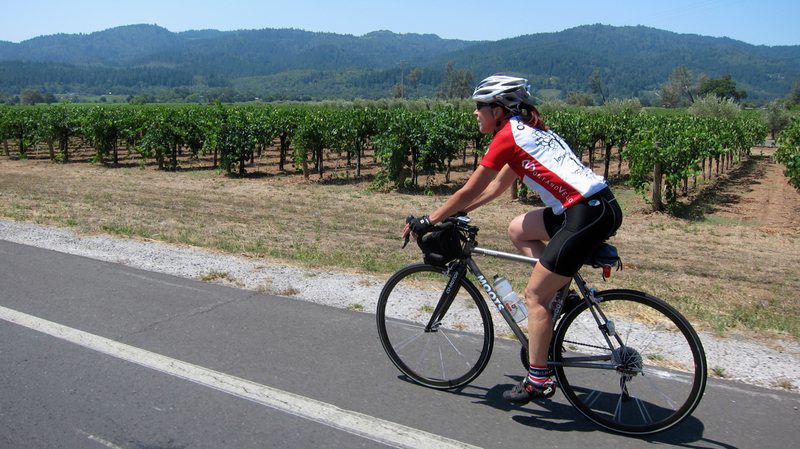 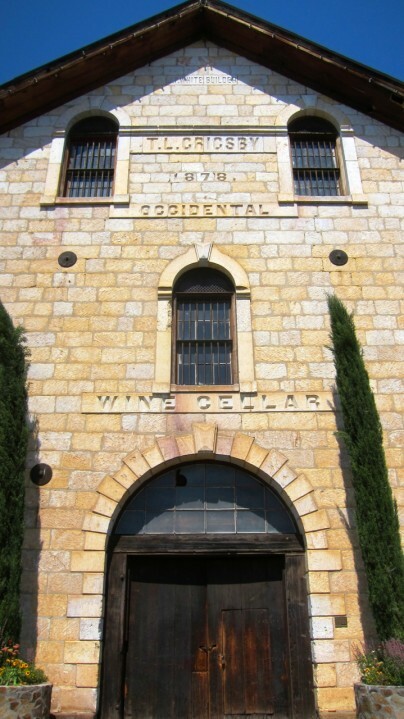 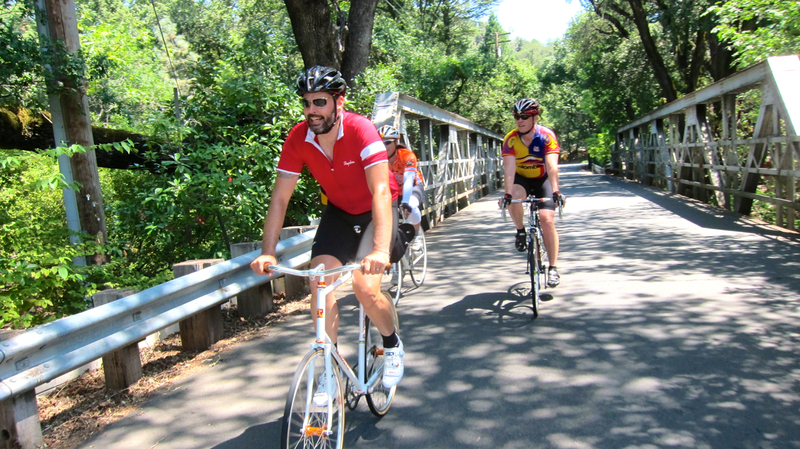 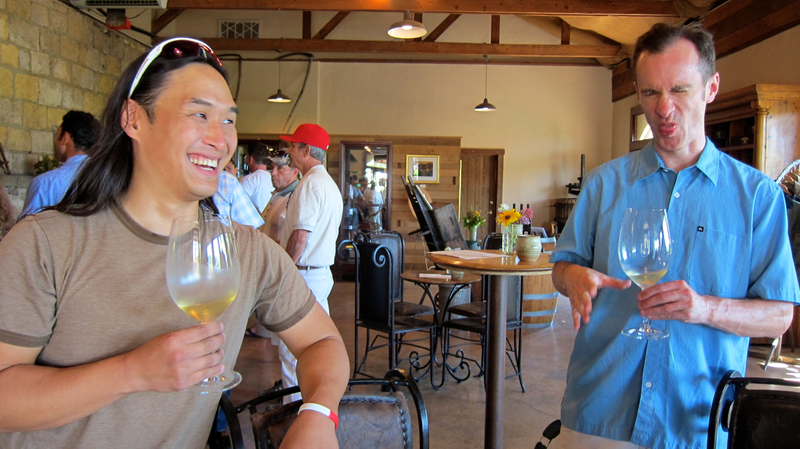 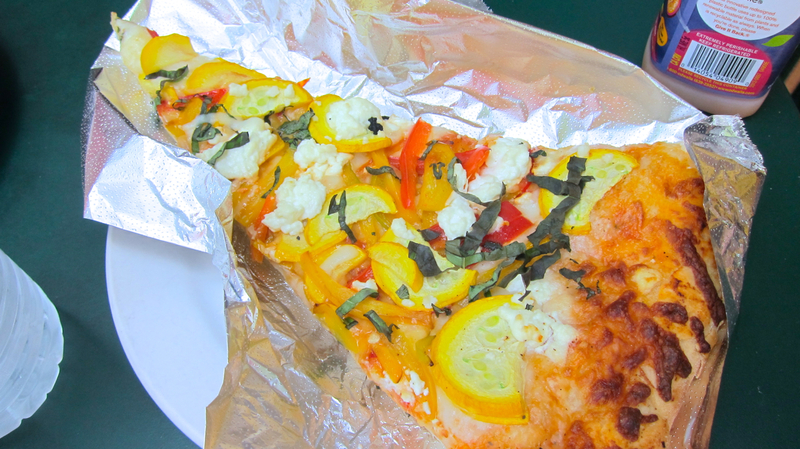 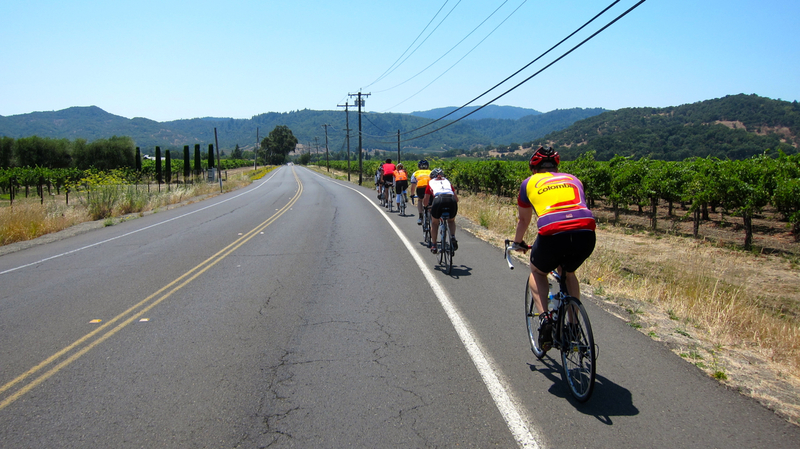 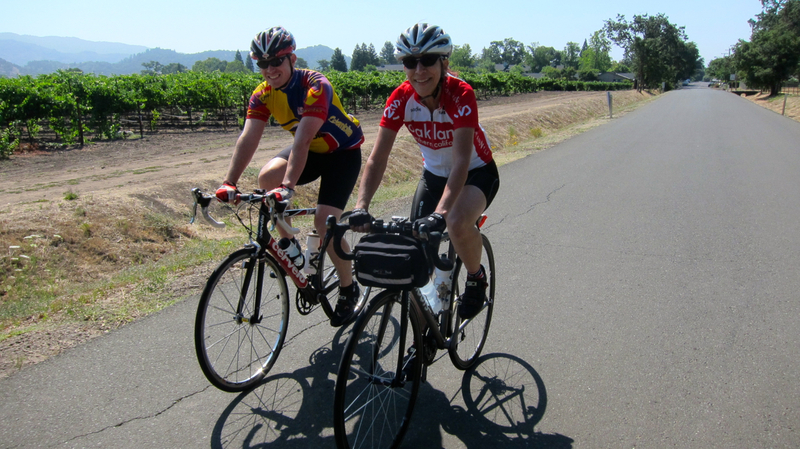 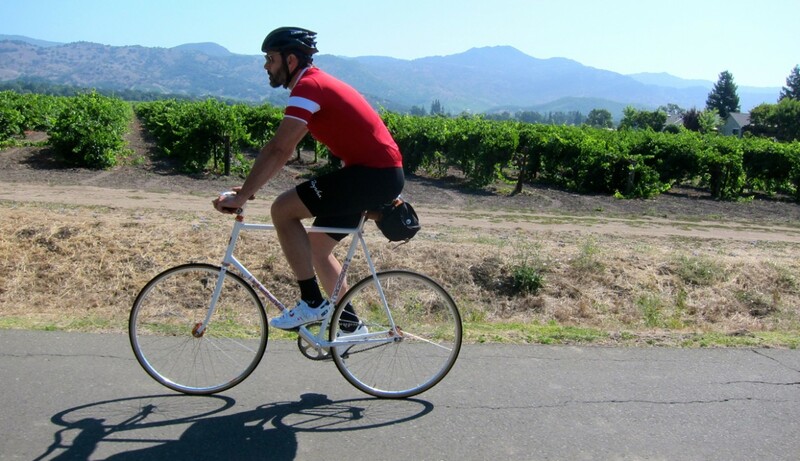 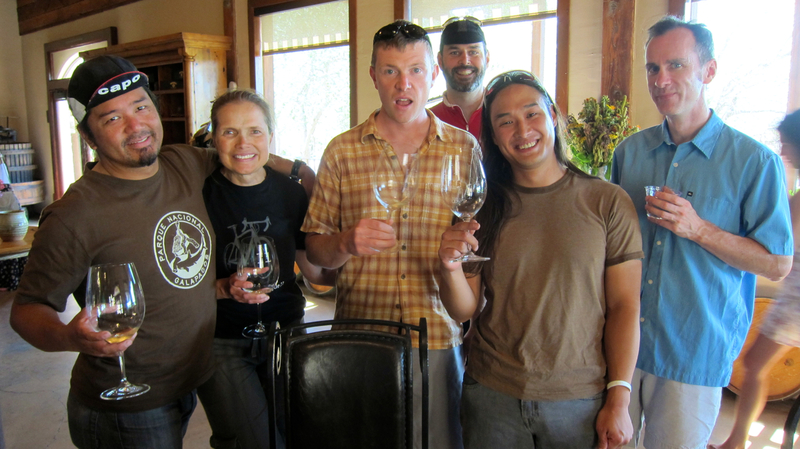 Go for a recovery ride in wine country! 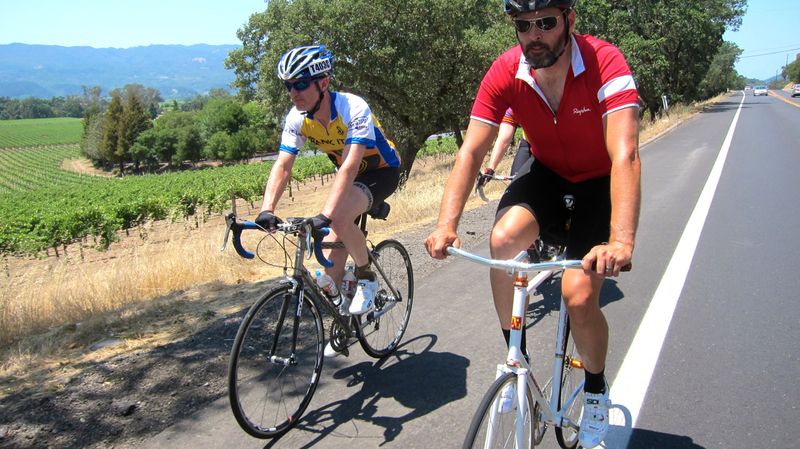 The Bearded One and I went to a super fun wedding in Santa Cruz yesterday (two dear cyclist friends of ours got hitched) and we indulged in margaritas, sangria, tequila and champagne until we were quite giddy. 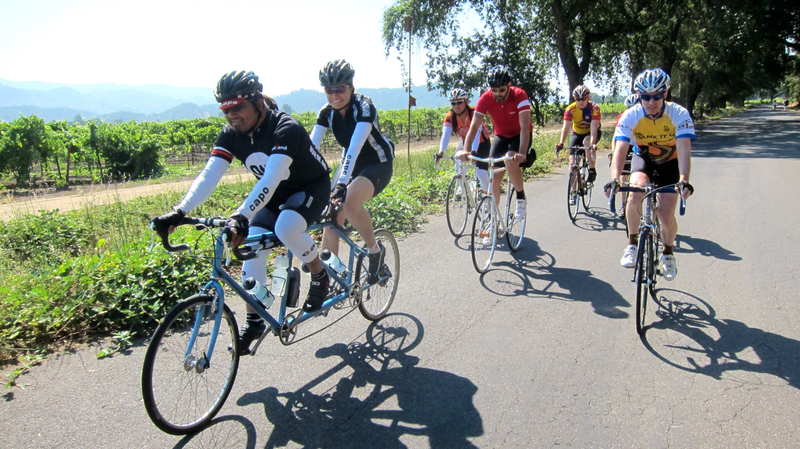 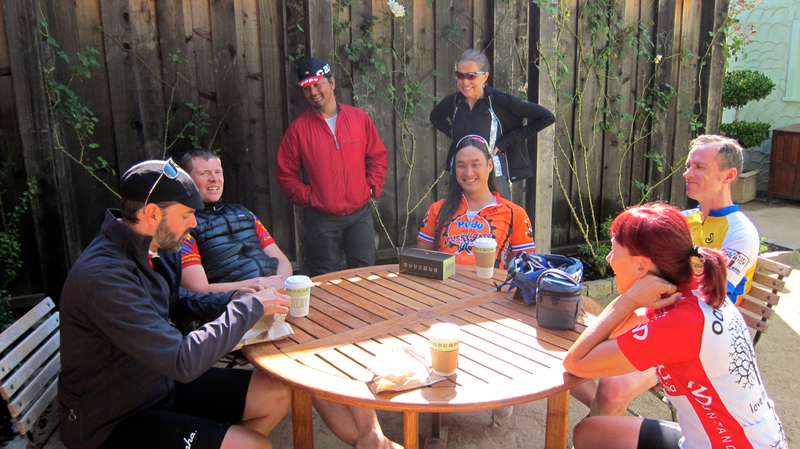 But we managed to drag ourselves out of bed first thing in the morning and headed to Yountville for a mellow 50-mile cruise in the sunshine with Alfie, Beau, Denise, Jason, Lisa and Michael. 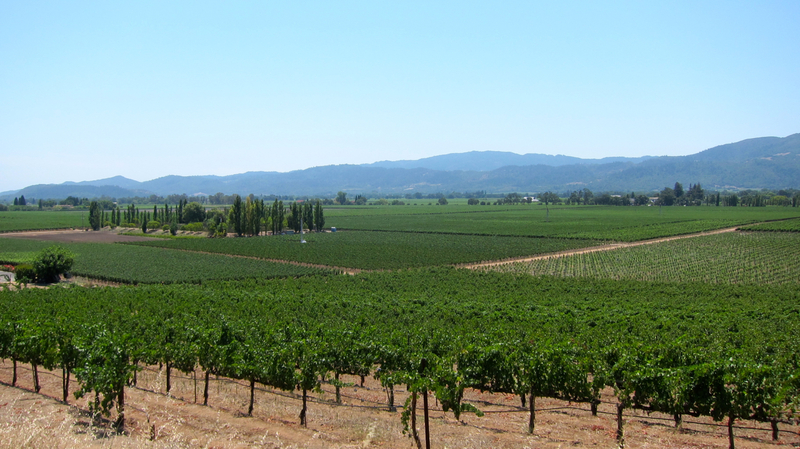 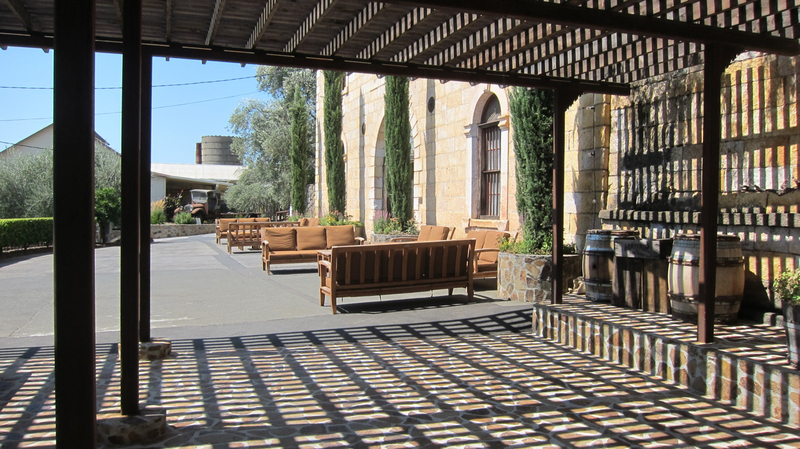 Highlights included breakfast at Bouchon Bakery, lunch at Model Bakery, wine tasting at Regusci Winery and dinner at Gott’s Roadside. 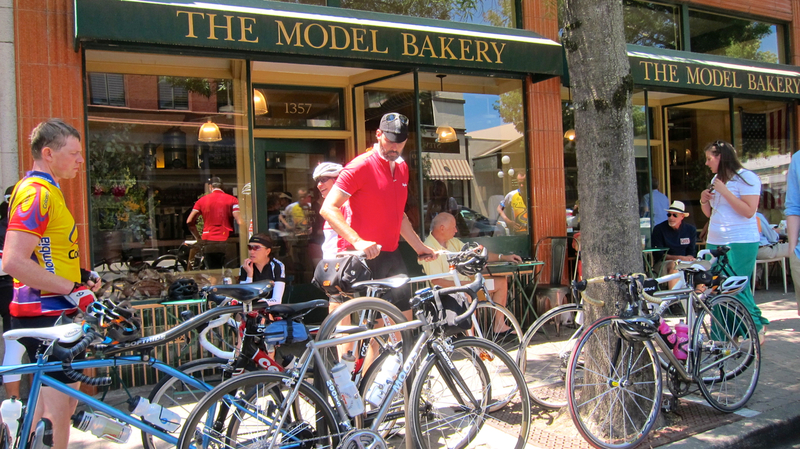 We live to ride, ride to eat!